The PTMSC Exhibits are Free on the Fourth—plus Fish Printing! Don’t wait for the fireworks—come to the Port Townsend Marine Science Center on the 4th of July from 11 a.m. to 5 p.m. and enjoy free admission to both exhibits. Fish printing is fun for all ages. You can buy a shirt or paper, or bring your own to use as your “canvas.” PTMSC volunteers will be on-hand to offer creative assistance with any designs you may have in mind. Although guests are encouraged to buy a Discover Parking pass, they don’t need a pass to visit PTMSC buildings. The M.A.D Interns have Arrived! Megan Veley is a full time intern who grew up in Ithaca, New York! She recieved her Bachelors of Science in Natural Resources Management & Policy from Paul Smith's College in the Adirondack Mountains of upstate New York. Megan then attended school in Iceland to obtain her Masters in Natural Resources Coastal and Marine Management. She always dreamed of living on the West coast, where the mountains meet the ocean. Megan saw the Marine Science Center as a perfect opportunity to explore the West coast, while still pursuing her dream to help protect and conserve the oceans she loves. It's hard for Megan to choose her favorite marine animal, but she has formed a special bond with Harry the Helmet Crab in the Marine Exhibit! Amber Heasley is the other full time intern who grew up in Overland Park, Kansas! She received her Bachelors of Science in Biological Sciences with an emphasis on Ecology and Evolution from Louisiana State University in Baton Rouge, Louisiana. Amber was introduced to the Marine Science Center when she began volunteering here shortly after moving to Port Townsend. Soon after, she applied for the internship so she could continue to learn about marine biology and help educate the public on conservation issues. Amber's favorite class of marine animals are cephalopods, and she especially enjoys the octopuses that live in the Jewel Tanks in the Marine Exhibit. Daphne Hamilton is our part-time intern, but we are extra excited to have her around because she is a Port Townsend local! She graduated from Chimacum high school and spent the past two years at the University of Washington and this fall she will be transferring to Lewis and Clark College. Daphne will be majoring n Environmental Studies with a minor in Dance. Growing up in Port Townsend she loved visiting the Marine Science Center. Daphne believes that working here will give her the experience she needs to pursue a career in conservation, while learning more about the area she grew up with (we agree!). One of her favorite marine animals in the Marine exhibit is the Nudibranch! Our awesome volunteers think it's easiest to remember them as the M.A.D interns (Megan, Amber, Daphne)...nothing to do with their personalities at all! Take part in a rare opportunity to view a majestic bald eagle up close at a presentation given by Jeff Guidry at the Port Townsend Marine Science Center’s Natural History Exhibit in Fort Worden State Park. 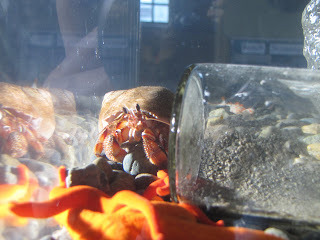 Admission is $5, $3 for kids and free to Port Townsend Marine Science Center (PTMSC) members. “This is such an excellent learning experience for the whole family,” said Anne Murphy, PTMSC Executive Director. 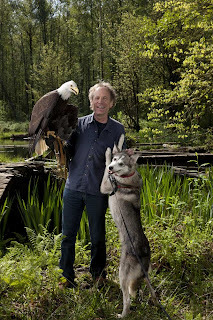 “In addition to meeting Freedom, visitors will hear Jeff share information about eagle behavior, habitats and life cycles.” Jack, a four-year-old retired sled dog, will also be accompanying them, demonstrating the inter-species bond that has developed between the eagle and dog. 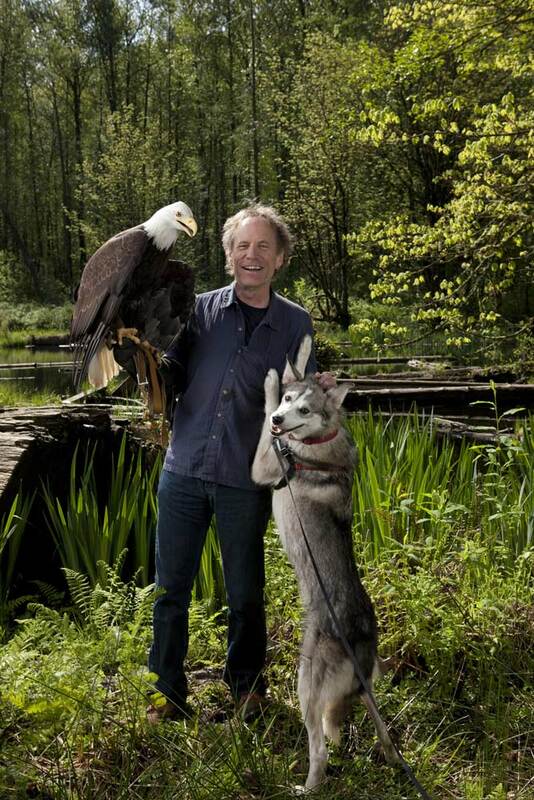 From the moment Guidry saw the emaciated baby eagle with broken wings, his life was changed. For weeks he worked with the staff at Sarvey Wildlife Care Center, tending to the grievously injured bird. Miraculously, she recovered. They named her “Freedom” and Guidry became her devoted caretaker. Though Freedom would never fly, she had Jeff as her wings. The Port Townsend Marine Science Center has partnered with several businesses to offer a “Freedom Weekend Package Getaway” for the whole family. Puget Sound Express has a wildlife cruise to view eagles and whales in their natural habitat, leaving at 9 a.m. at Point Hudson Marina on Saturday, June 23rd and returning by 1 p.m.—back just in time for the presentation. Accommodations are available at the Bishop Victorian Hotel and the Washington Hotel. All three businesses are offering a 15% discount. Just use the code EAGLE. Children are welcome. For more info, go to www.pugetsoundexpress.com, www.bishopvictorian.com and www.washingtonhotelporttownsend.com. 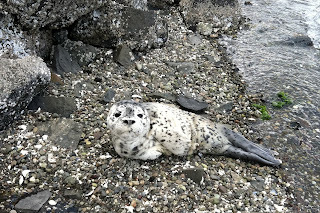 If you’re interested in helping marine mammals that become stranded on our local beaches, the Port Townsend Marine Science Center (PTMSC) is offering a free training session on Tuesday, June 26th, from 4-5:30 p.m. in the Natural History Exhibit at Fort Worden State Park. Learn about changes in the PTMSC’s stranding program, including our new marine mammal necropsy program, and goals for our local and regional groups in the coming year. There will be a review of species identification and documentation, including a beach session to practice skills. The more trained volunteers that are on the call list, the more the responses can be spread around, especially when seal pups need “pup sitting” to keep dogs and people away while they rest on the beach. It’s important for volunteers to understand that in the majority of cases of injured animals, this cadre of volunteers is documenting incidents rather than saving or rehabilitating individual marine mammals. The data collected becomes part of a nationwide database which tracks marine mammal strandings and looks at larger trends in order to address possible problems that might be causing the strandings. For more information or to sign up for the free training, please call 360.385.5582 ext. 110 for Jamie Landry or email her at jlandry@ptmsc.org. No previous knowledge about marine mammals is required.